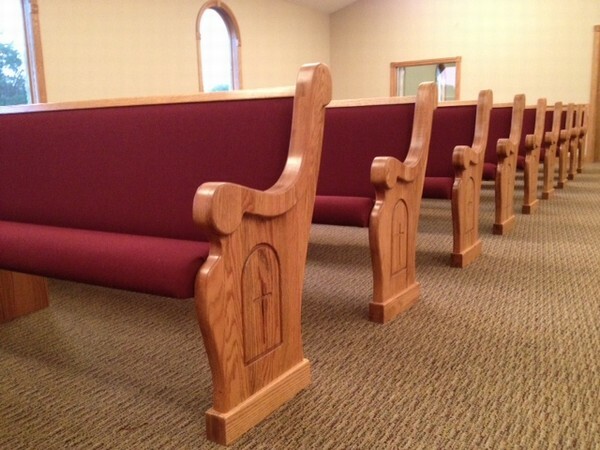 Custom church pews provide lots of options, and that means lots of decisions. Committee members may start with styles, colors, and fabrics but custom features like embellishments and carved crosses are often overlooked. One thing you can easily add to your pews to give it them a special feel are carved or beveled embellishments on the pew ends. Pews don’t vary a whole lot when it comes to the part you actually sit on. Our pews are made with standard 3 ½” thick padding and a 2″ thick lumbar support, all on top of a ¾” thick high quality plywood. We never use cheap particle board and focus on durable quality that will last for decades. In fact, our pew seating uses plywood that’s thicker than most people use for their floors! But church pew ends, on the other hand, can vary a whole lot from church to church. 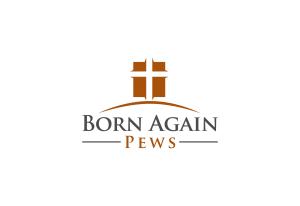 Custom pews have the advantage of being fully customizable so you can do a lot of special touches with Born Again Pews other pew companies can’t or won’t do. Once you have a church pew style in mind for your pew ends, you’ll want to decide if you want some decorative carving or beveling done on the ends to add a special touch. Some of our pew end styles come with carving as part of the standard design, like the more traditional and colonial styles. One popular addition is a simple cross carved into the pew ends but there’s a lot of options you can have carved into the ends. You can choose a single cross, three crosses, geometric shapes to highlight the design of the pew, or even a cross inside of a shape. If you find having a cross on every pew overwhelming, we can also alternate pews with crosses and pews without crosses to create a pattern in your sanctuary. There’s a lot of opportunity of individualization in custom church pews so be sure to take some time to think about all the details, not just the pew basics. A pew is more than just a place to sit–it’s a central part of the worship service! If you’re unsure what suits your church best, we can always offer advice on what would look nice in your sanctuary and serve your congregation.